Audio video conferencing is a set of telecommunications technologies which allow two or more locations to communicate simultaneously with two-way video and audio transmissions, providing for visual collaboration. Video collaboration is a very powerful and useful tool to meet your operational needs. In today's global business environment, the ability to have face time and real time collaboration with others is an operational requirement. 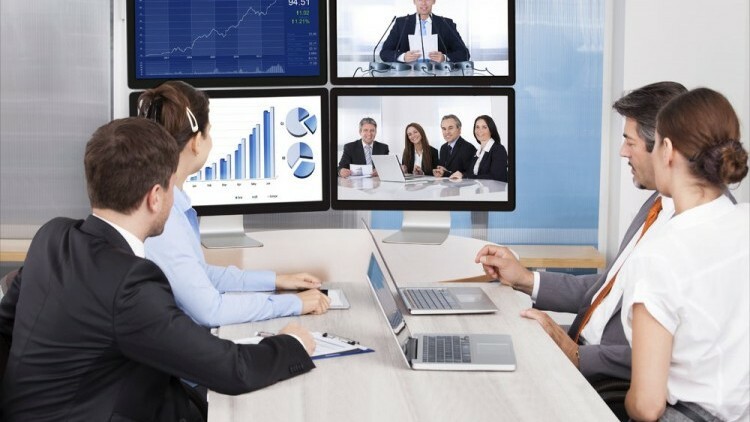 We bring high quality video and audio to your desktop computer and your conference room, offering on-demand scheduling solutions through point-to-point and multi-point audio and video collaboration with click-to-call features. Our systems are standards based and scalable. We focus on the design and installation of integrated presentation systems and conference rooms solutions for a variety of industries.